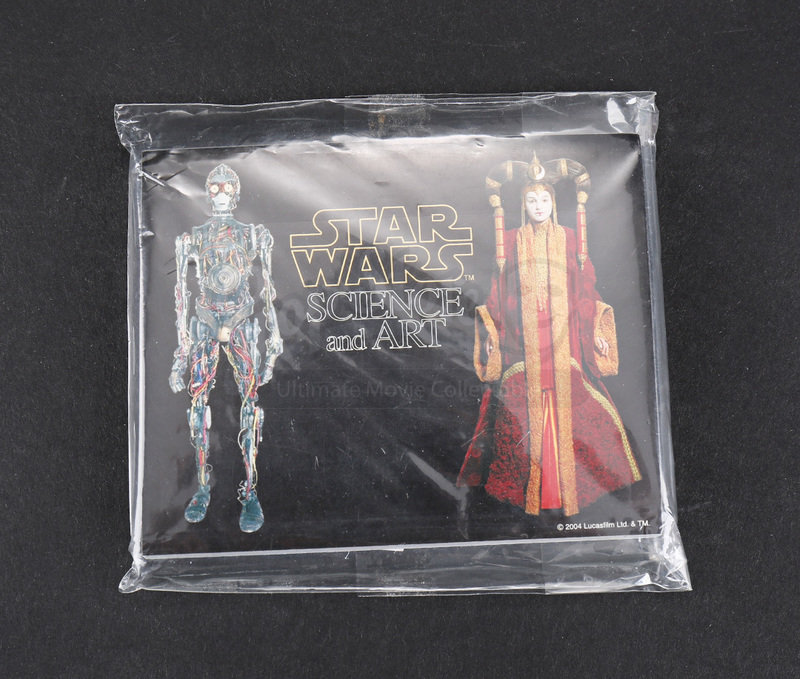 A set of magnetic post-it notes made to promote the Star Wars Science and Art event held in Japan. 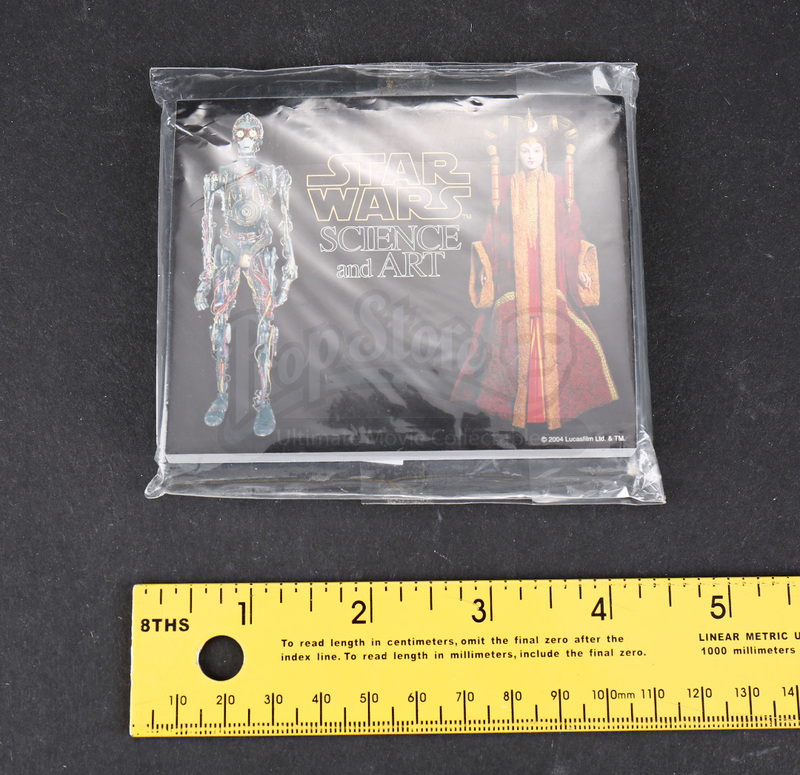 The post-its are fastened to a magnetic backing and feature images of Queen Amidala and an exposed C-3PO on the front. The packet of post-its remains sealed and includes a slip of instructions printed in Japanese. 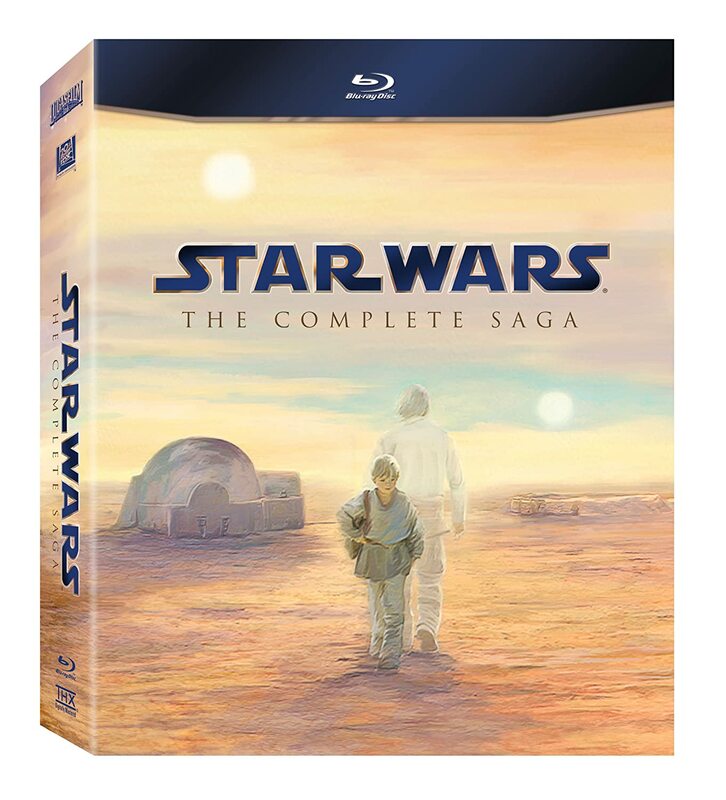 Having never been opened, the set remains in great condition.